Original Ferrari 500 Superfast Sales Pamphlet Brochure, in very good condition. 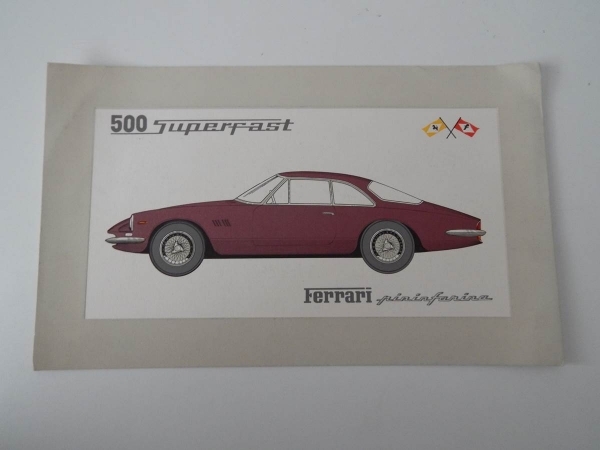 This rare 500 Superfast brochure is a two-sided pamphlet, and has a lovely outline of the car on the front, and details in Italian, French and English on the reverse side. 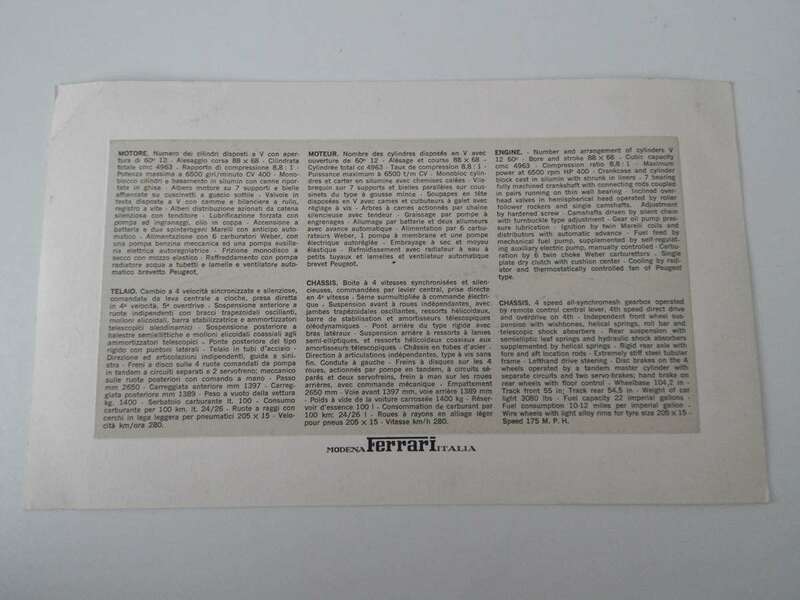 Extremely rare and a beautiful piece of Ferrari automobilia.